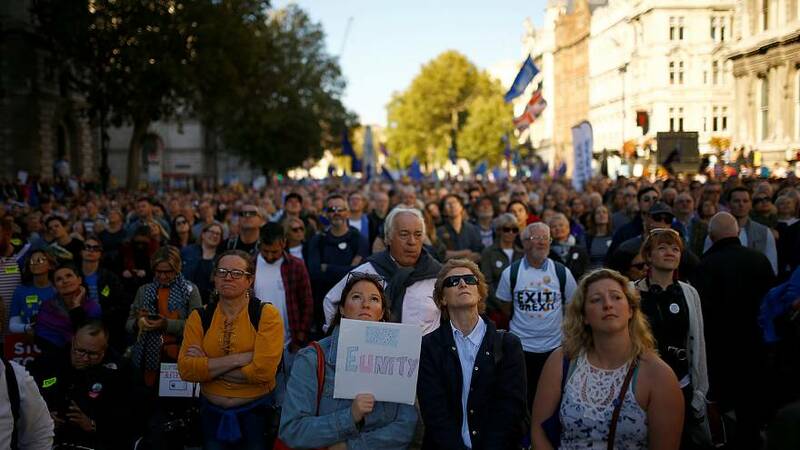 More than seven hundred thousand people are marching through the streets of London demanding a say on the final Brexit deal. Organisers say it's the largest demonstration so far regarding plans to leave the European Union. They say people taking part are also those who voted to leave the EU, as they're fed up with the way negotiations are being handled. It comes as pressure builds on the prime minister over her strategy, with just over five months until Britain is due to leave. The sticking point is still avoiding a 'hard border' between Northern Ireland and Ireland.